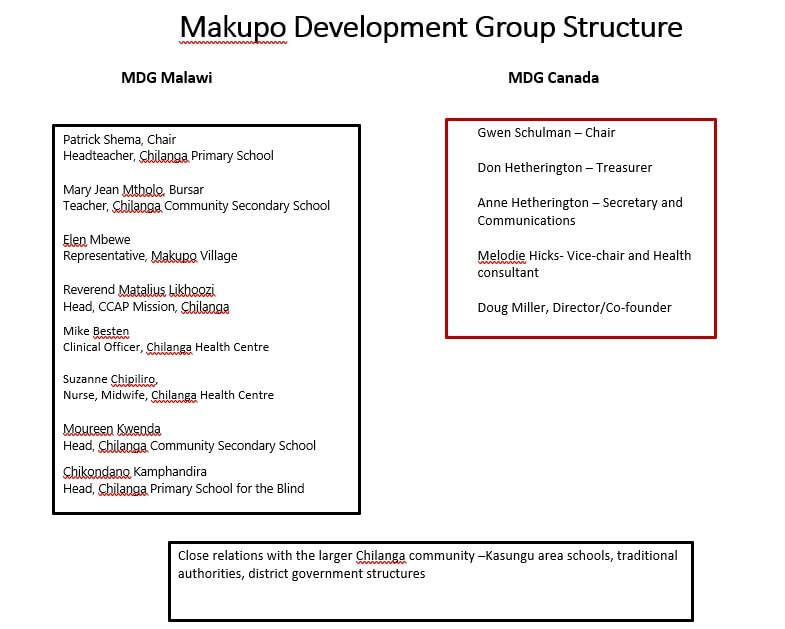 This video gives a brief history of how Makupo Development Group began with two people, Doug and Nellie Miller and their family, and then went on to involve outside organizations, specifically OPSEU in Ontario and Vanier College in Montreal and many supporters. The initial projects they mention were completed in the early years of the organization which has expanded significantly since those beginnings, but the mission and underlying principles of the Makupo Development Group continue. Our goal is to help break the cycle of poverty and underdevelopment in and around our home village in Makupo, in rural Malawi. In Canada our objective is to fund-raise for projects at Makupo and to create public awareness about the conditions affecting the people living there. ​We are dedicating considerable effort to foster solidarity between our Canadian supporters and the people of rural Malawi. Copyright © 2014 Makupo Development Group. All rights reserved.